Neurofibromatosis type 1 is an autosomal dominant inherited disease, which is characterized by the presence of multiple neurofibromas. We encountered a case in which a sporadic dispersed neurofibroma recurred locally on numerous occasions extending over 16 years. The patient developed multiple masses with a focus of neurofibroma on the right lower limb, which were excised. The patient was initially diagnosed with inflammatory changes via computed tomography and magnetic resonance imaging; however, subsequently, pathological and immunohistochemical examinations revealed an intraneural neurofibroma. The patient underwent a comprehensive and complete local resection several times. After a continuous postoperative follow-up strategy, the patient recovered well. This report describes a case of primary manifestations of multiple and recurrent neurofibromas. We aim to emphasize the possibility of a unique, recurrent, non-healing neurofibroma and review the diagnostic techniques utilized to reach a definitive diagnosis. Early and complete surgical resection is an effective method to treat and prevent this type of neurofibroma. Leitao Huang, Xia Wu and Yi Ding contributed equally to this work and should be considered co-first authors. Min Dai and Bin Zhang: these authors are joint senior authors of this work and should be regarded as co-correspondents. Die Neurofibromatose von Typ 1 ist eine autosomal-dominant vererbte Erkrankung, für die multiple Neurofibrome charakteristisch sind. Bei dem hier vorgestellten Fall fanden wir ein sporadisches, verteiltes Neurofibrom, das über einen Zeitraum von 16 Jahren vielmals lokal rezidivierte. Bei dem Patienten entwickelten sich multiple Raumforderungen mit einem Neurofibromfokus in der rechten unteren Extremität, der exzidiert wurde. Anfänglich wurden entzündliche Veränderungen mittels Computertomographie und Magnetresonanztomographie diagnostiziert. Nachfolgende pathologische und immunhistochemische Untersuchungen ergaben allerdings ein intraneurales Neurofibrom. 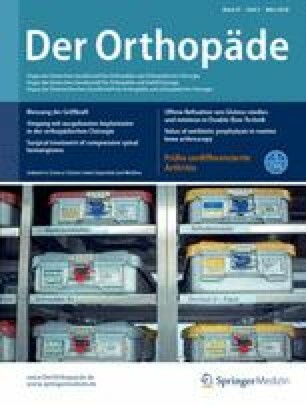 Der Patient wurde mehrmals einer umfassenden und kompletten lokalen Resektion unterzogen. Nach einem fortlaufenden postoperativen Follow-up erholte er sich gut. Die vorliegende Kasuistik beschreibt also den Fall einer primären Manifestation multipler und rezidivierender Neurofibrome. Wir betonen in unserem Beitrag die Möglichkeit eines singulären, rezidivierenden, nicht heilenden Neurofibroms und fassen die diagnostischen Verfahren für eine definitive Diagnose zusammen. Die frühe und komplette chirurgische Resektion ist eine wirksame Methode zur Behandlung und Prävention dieses Neurofibromtyps. The authors would like to thank the patient for providing us with informed written consent for publication of this case study. The authors would like to thank Bin Zhang and Min Dai for their secretarial assistance and for their theoretical and clinical guidance. All research costs were covered by two projects: this research was supported by Gan-Po Talents Project 555 of Jiangxi Province (1210025001/5201). L. Huang, X. Wu, Y. Ding, L. Qi, W. Li, G. Huang, M. Dai and B. Zhang declare that they have no competing interests. This article does not contain any studies with human participants or animals performed by any of the authors. Consent was obtained from all patients identifiable from images or other information within the manuscript. In the case of underage patients, consent was obtained from a parent or legal guardian.